St. Clair streetcar is 100! One hundred years ago, St. Clair Ave was Toronto’s northern city limit; a dirt road with few commercial or residential buildings. 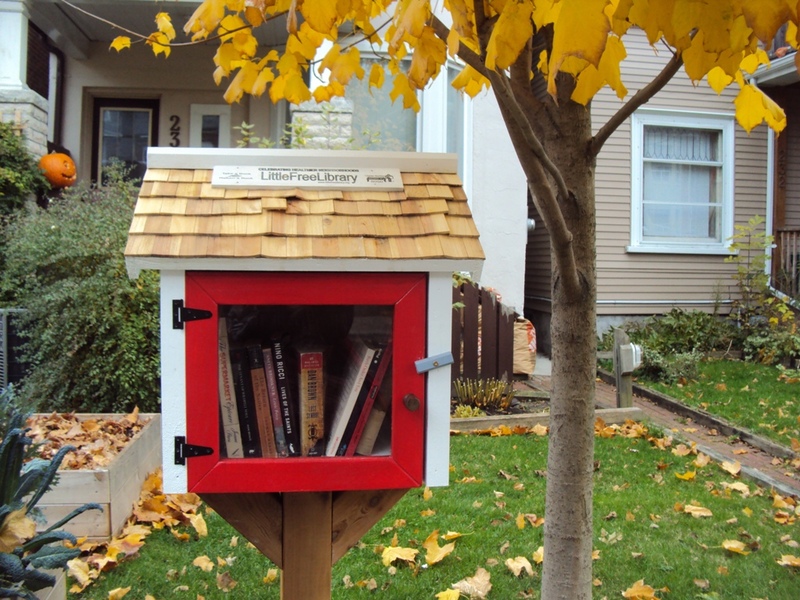 There’s a Little Free Library on a front lawn on Rushton Road, south of St. Clair. It looks like an over-sized birdhouse on a post. It has a glass door so you can see the books inside. Opening night at the Planet in Focus Film Festival and a young Inuit drummer and two throat singers kick off the screening of Arctic Defenders. Tags: arctic, library, Nunavut, st. clair w, streetcar. Bookmark the permalink.